The causes of insomnia are not completely understood once medical reasons are ruled out. Ironically sleep studies clinical research has shown that getting too much sleep can be as harmful as getting too little sleep. Insomnia is 40% more common in women than in men. Additional insomnia clinical studies are needed to better diagnose, manage and treat insomnia. If you have suffered or currently suffer from insomnia and are interested in participating in an ongoing insomnia clinical trial, please review our current list. If you qualify participation is always at no cost to you. Contact us today to learn more. Insomnia occurs when a person has difficulty sleeping, including falling asleep and staying asleep once they do fall asleep. Insomnia lasting more than 30 days is considered chronic and can begin to effect a person’s ability to function during the day. 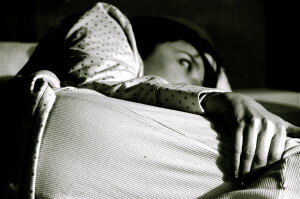 Insomnia may be caused by something else or it may be the primary disorder. Possible causes include depression, sleep apnea, pain, or excessive nighttime urination. Other causes include stimulants (i.e. caffeine), restless leg syndrome, hormone changes, and a poor sleep environment. The first step in treating insomnia is to rule out any possible medical causes. The next step is to examine a person’s sleep hygiene. This includes their sleep environment, any stimulus they may receive just prior to bed time and how relaxed they are when it is time to go to sleep. Cognitive behavioral therapy (CBT) has also proven to be a successful insomnia treatment. Working with a patient and CBT can teach them that their thoughts, perceptions and expectations about sleep may be incorrect. Although medications are prescribed in approximately 95% of cases, it should be a last resort. Sleeping pills such as benzodiazepines can cause dependency and daytime fatigue.